It’s a bummer that summer’s long gone and fall is already here. Winter isn’t far behind. But the chillier months are no time to waste — there’s next summer to get ready for! A fantastic way to do some proper next-summer prep is with CoolSculpting, the only FDA–cleared nonsurgical reduction treatment which uses controlled cooling to sculpt challenging areas. It’s best to start CoolSculpting treatments during fall or winter, because it takes two months or more to achieve optimal results. Undergoing CoolSculpting while maintaining a healthy diet and exercise routine will leave you looking amazingly beach-fit by the time summer’s here again. Interested in learning more? 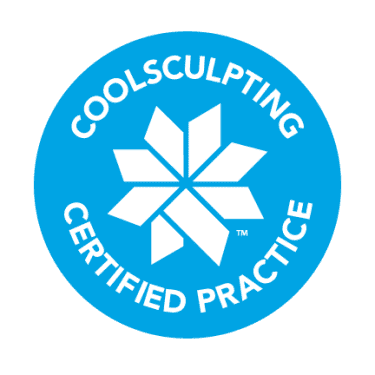 Well, here’s everything you need to know about CoolSculpting, including the science behind it, how to prepare for your first session, what to expect during your procedure, and how to maintain your results. Fat cells freeze at higher temperatures than do surrounding tissues. The CoolSculpting device targets these fat cells and delivers a precisely controlled cooling effect that crystallizes them. The fat cells die, and your body eliminates them over time. The result is a more sculpted you. Best of all, CoolSculpting deliver long-term results. The fat cells treated are gone forever, and cells from untreated areas won’t drift in to replace them. CoolSculpting treatments have been performed over 2 million times worldwide, and its effects have been studied in more than 4,000 clinical trial patients. And client satisfaction with the results has been huge — over 95 percent! Losing weight does shrink fat cells, but they’re still there. In fact, the number of fat cells in your body became fixed while you were still a teen. When you gain weight, your fat cells simply expand. CoolSculpting reduces the number of fat cells in treated areas by up to 25 percent. 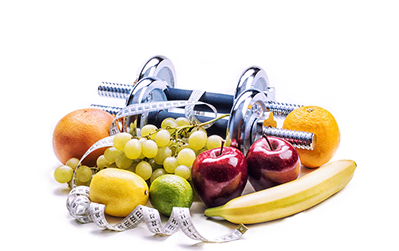 So after your session, you might not lose any weight, but you will look thinner and more toned. Your clothes will also fit better. Before your first CoolSculpting session, your medical professional will plan according to your specific goals, your unique body, and your needs. How long your session will last depends on the number of areas you want treated. That said, a session usually lasts an hour. You may need additional sessions if you want a few different areas treated. Here’s one really cool thing: CoolSculpting doesn’t involve any surgery, needles, or downtime. During the procedure, your medical professional will place a gel pad and applicator on the targeted area. You’ll most likely feel a deep cold at first, but this ends as the area becomes numb. You might also feel some tugging. This is because a CoolSculpting device uses a vacuum to draw fatty tissue into the applicator cup. With CoolSculpting you can easily resume normal activities afterwards. Rare side effects include numbness, redness, swelling, bruising, firmness, tingling, stinging, and discomfort. Any redness usually goes away a few hours after the device has been removed. You shouldn’t have the CoolSculpting procedure if you have been diagnosed with cryoglobulinemia or paroxysmal cold hemoglobinuria. And CoolSculpting isn’t a treatment for obesity. In any case, it’s always best to consult a medical professional before getting CoolSculpting. Observable results will appear in anywhere from three weeks to two months. And for four to six months after your treatment your body will continue to flush fat cells. Keep in mind, though, that CoolSculpting is FDA–cleared to eliminate fat only in the abdomen, side, inner thigh, outer thigh, and chin. Your go-to source for CoolSculpting is LaserAway. At LaserAway you can be sure you’ll receive the best treatment available. To meet the needs of discriminating clients, LaserAway staffs its clinics with only the most experienced medical professionals certified in laser and other dermatological procedures. We at LaserAway believe in using only the most cutting-edge laser technology and techniques to make your visit enjoyable. So don’t hesitate to contact us. You’ve got nothing to lose but inches. If you would like to learn more about LaserAway’s services or schedule a free, no-obligation consultation, please email us at LaserAway.com or call us at (888) 965-2737. We’re here to get you to summer looking your hottest!